My perception about Khajuraho slightly got changed after coming. What I had seen in books and had heard from others, it was not like that. One the first day at Khajuraho, we planned to go sightseeing. The same day was marriage of my friend. So we decided to first have the sightseeing tour and then head to the marriage. We rented a car and went to Pandav Falls. From Pandav Falls we went to Kalinjar Fort. I had never heard of these two places before. We passed through several villages, which were kind of remote and isolated. People living in small huts and making earning by farming, the roads being bumpy and spiral, everything was much fascinating. Travelling often teaches so many things. I got to see many things which I had only seen in books and had only heard of them. While the cab was passing through the villages, the smell of these villages reminded me my days in village, back in my childhood when I used to live at my maternal uncle’s. It was almost the same; the only difference was time period. I lived in that village till 2005 and after that I came my home. 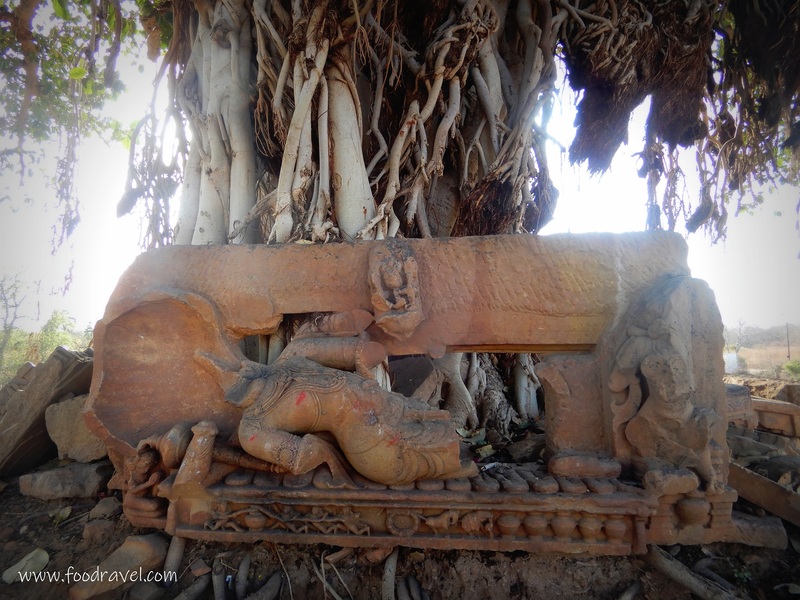 Khajuraho is a small town but a famous tourist attraction. Flooded with many hotels and restaurants offering all main international cuisines, Khajuraho welcomed us with several wonders. I had some of the most wonderful and beautiful moments here in Khajuraho. 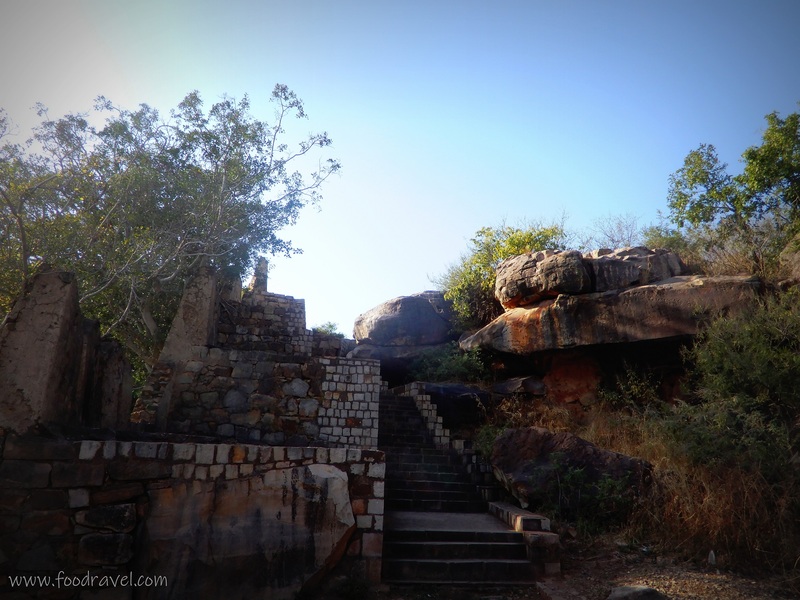 Our decision of travelling from Khajuraho to Kalinjar Fort via Pandav Falls was a wise one and saved us money and time which was very important for the trip. On the way, we passed through villages and farms. We saw life, people smiling at us and kids waving us. It was all overwhelming and beautiful as well. This is what travelling has to offer us. Some memories which are never going to get away from the mind. Travel is like a treasure. The literary meaning of Kalinjar is destroyer of time. 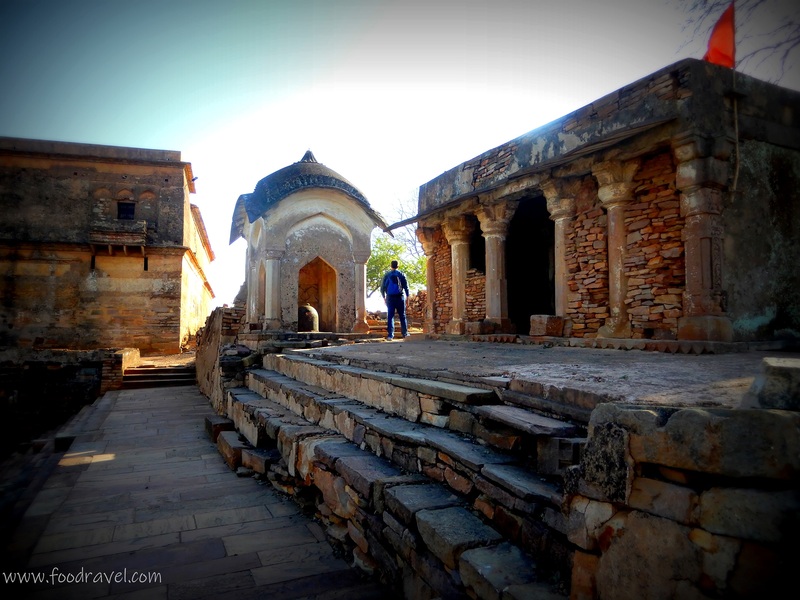 The fort is located in Central India in Bundelkhand Region. The fort lies the area of Banda District in UP. 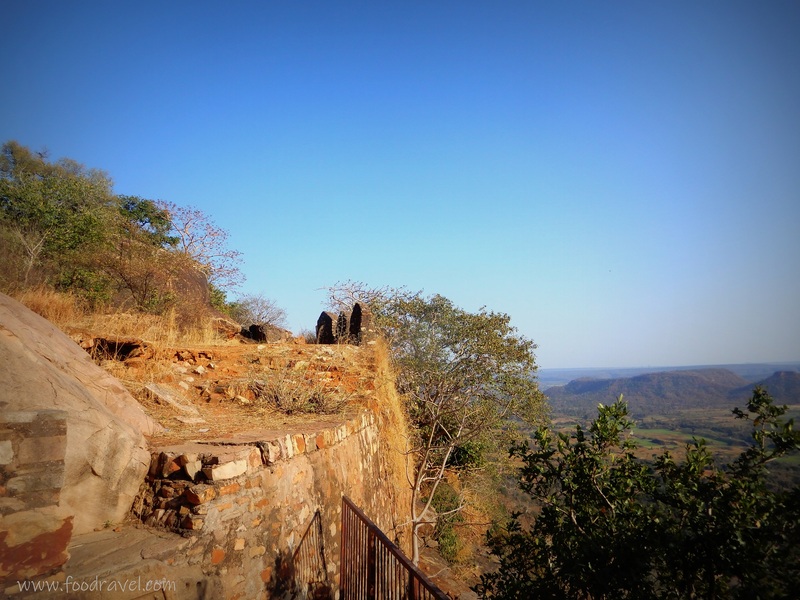 The fort is located on a rocky hill, standing at 367 m of elevation. 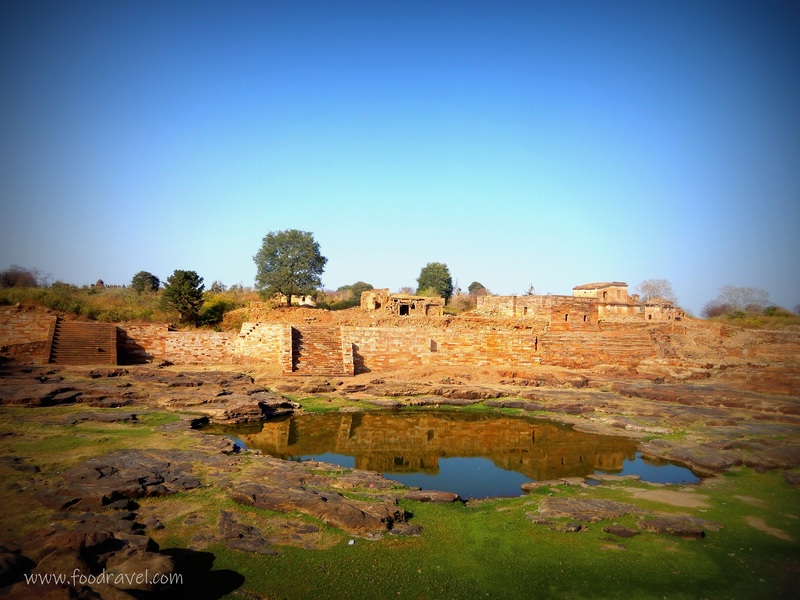 The fort has been a part of several battles and invasions in Indian history. 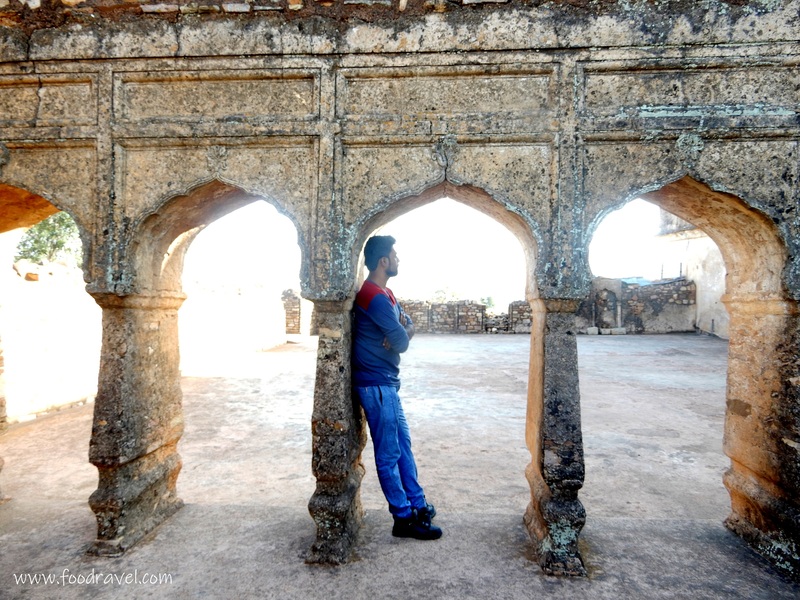 Several of Bundelkhand’s ruling dynasties have overtaken this fort. It was under the reigns of Chandela during 10th century and then came under the rule of Solankis. 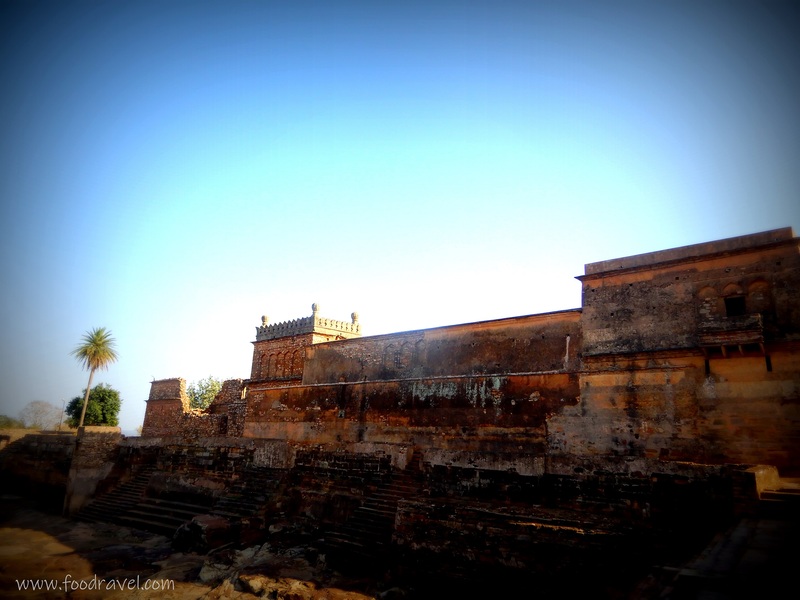 The fort has been a centre of interest for both Hindu and Muslims emperors. However, only Mughals could rule over it for long time. It was attacked by Mahmud of Ghazni in 1023. It is said that only Babur could capture the fort completely in 1526. Sher Shah Suri is also said to have died here in 1545. 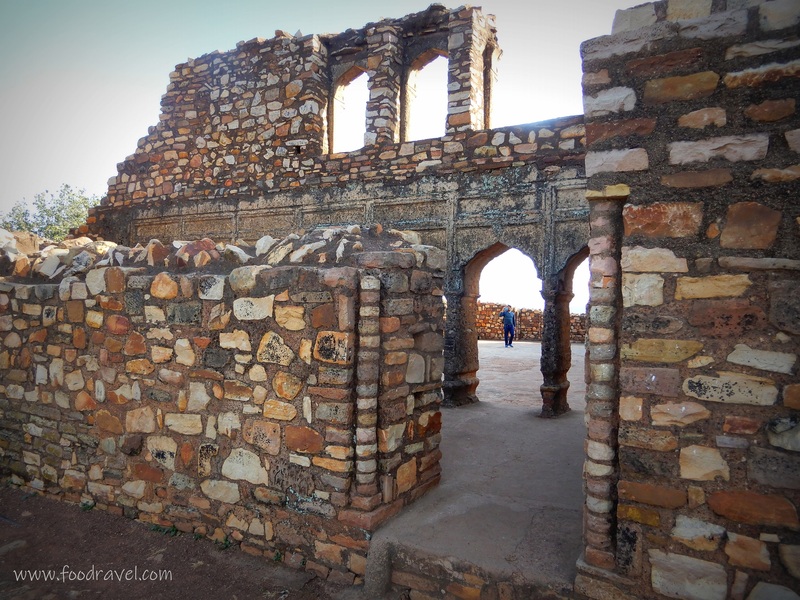 Akbar captured this fort in 1569. And it came under the British Raj later on. 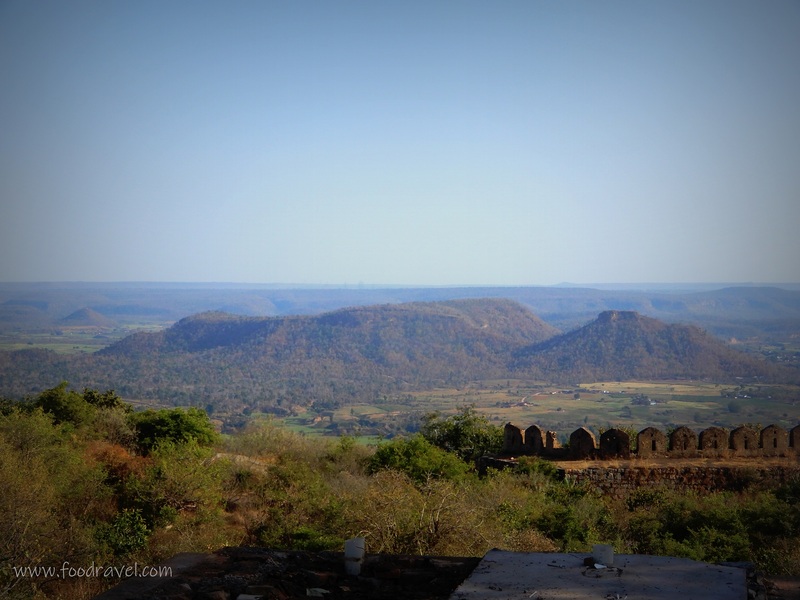 How to reach Kalinjar Fort from Khajuraho? 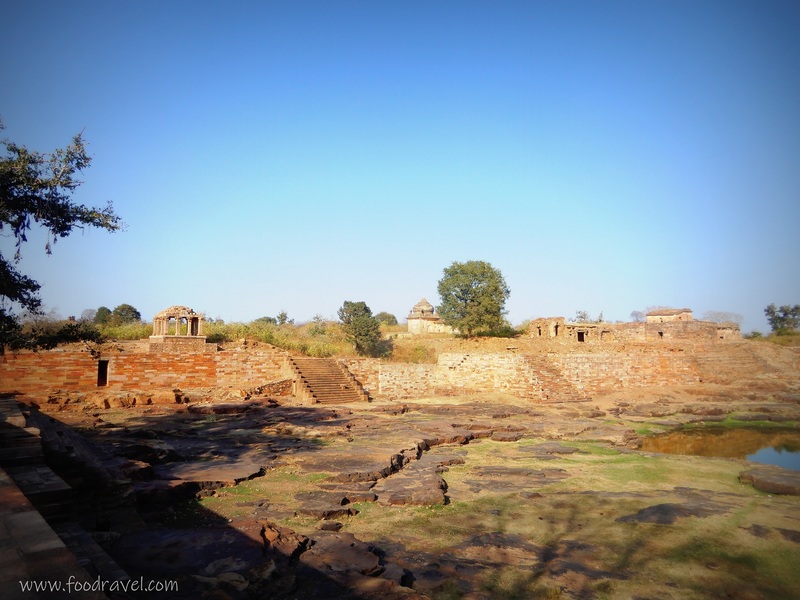 If you are in Khajuraho and planning to go for sightseeing, Kalinjar Fort is a great option for you. 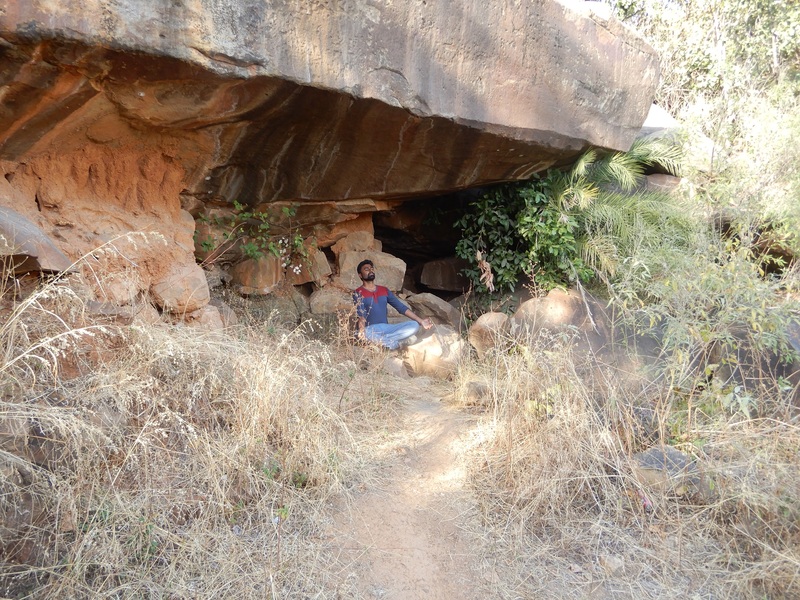 The distance from Kalinjar Fort to Khajuraho is almost 100KM and it should take around couple of hours to reach. You can hire a cab and go there easily. 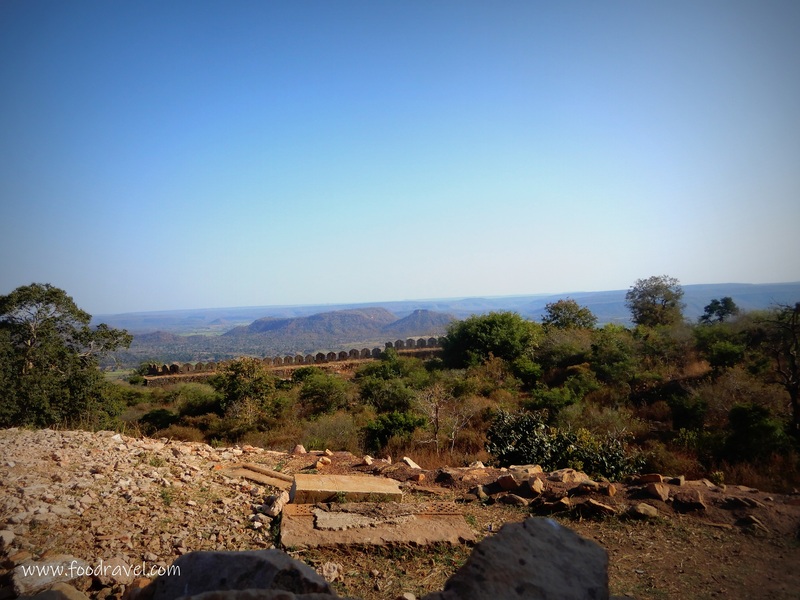 From Khajuraho, you can visit Pandav Falls and Kalinjar Fort and return the same day. So, you should hire a cab for covering both places. 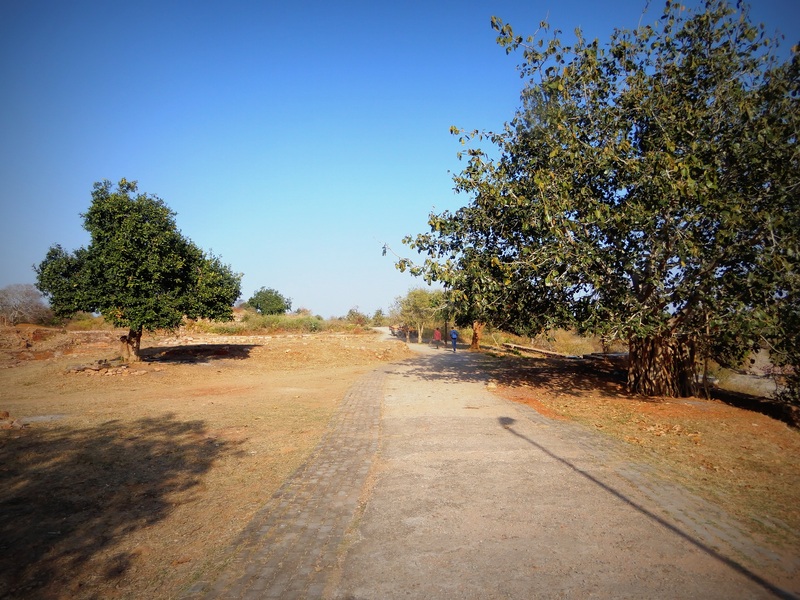 The nearest airport to Kalinjar Fort is Khajuraho while the nearest railway station is Atarra. The fort is located in a hill. So you can take your vehicle to the top. 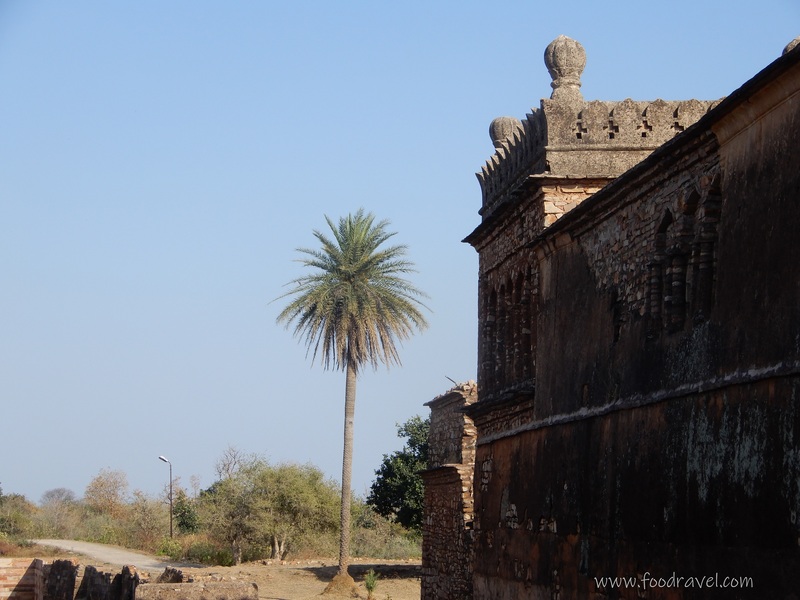 There is an entry fee of visiting the fort which is 25INR. We roamed around a lot in the fort premises. However, the main centre which was locked and we couldn’t get to see what was inside the fort. There was a pond in the very starting of the fort and a temple in weathered condition. When we visited the fort, there was some construction work going on. The cab driver took us to a temple down there which is known as Neelkanth Temple dedicated to Shiv. The view from the top of the fort was overwhelming and mind-blowing. We had lots of photographs around. It wasn’t a big fort and can be easily visit in around half an hour. 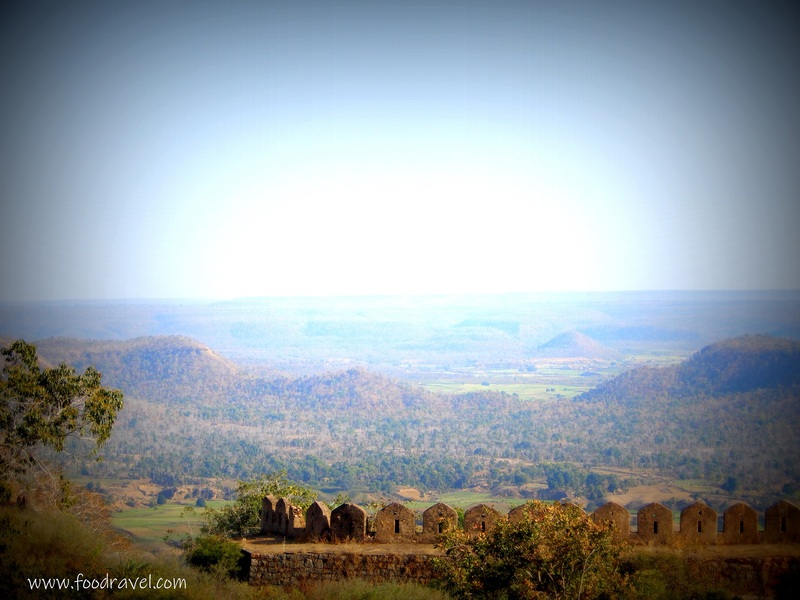 Yes, photography may take time and one can take amazing photographs from here overlooking Bundelkhand plans. From here, we moved to the marriage function of my friend.